Eileen has been an Educator since the 15th August 2016, and has settled into the role very well, as a mother with a lot of experience she is relaxed and fun and enthusiastic to share her love of Science and the natural world. 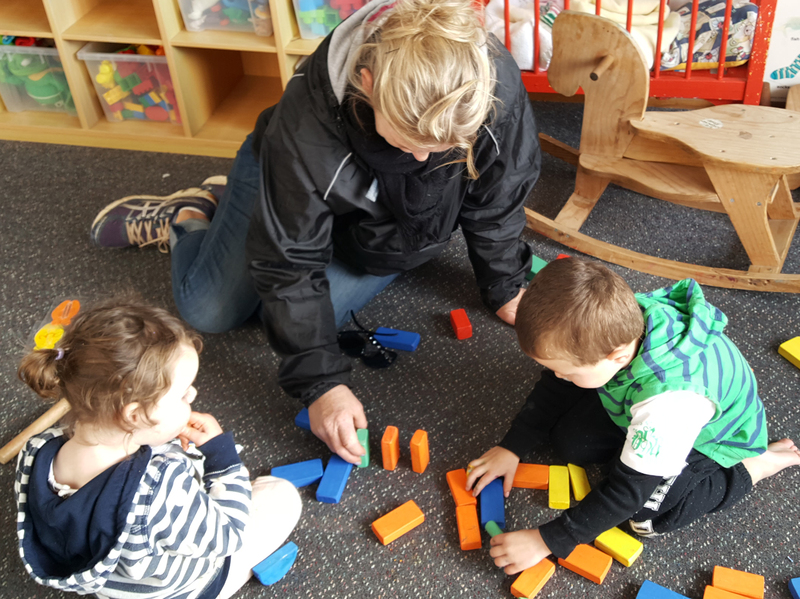 Eileen knows her tamariki well and provides an extremely rich learning environment for them to explore, discover and extend their learning. Eileen believes in following the child’s lead and extending their development based on their interests and strengths. I believe that Eileen would be a great role model for our other Educators, through sharing her knowledge of children’s learning and how she sets up her learning environment. Eileen enjoys the curriculum area of Science and during my visit she has had the tamariki foraging in the gardens looking for items to test out their theories on floating and sinking. During one visit she had balloon attached to a straw threaded through a string to test out the length so the tamariki were using measurement of distance and began to have races. Other areas of skills are the Arts and crafts where tamariki can glue, collage and create with all the great resources that Eileen is gathering. Eileen regularly takes the tamariki to the Tuataphere Domain for walks with other educators in the area. The Tamariki often stop and explore the shapes of the leaves and sometimes have a scavenger hunt to find pre-determined items along their walks. Eileen embraces Haerenga/Outside activities and views them as learning experiences that enhance her programme. Eileen is constantly adding to her resources with the addition of sand clams for both water and sand play. Eileen encourages them to use the excavators in the dirt and uses the outings to tautoko (support) the tamariki individual goals.